For experienced or first-time salmon fishers visiting the area, we offer full day guided excursions locally to fish for salmon. 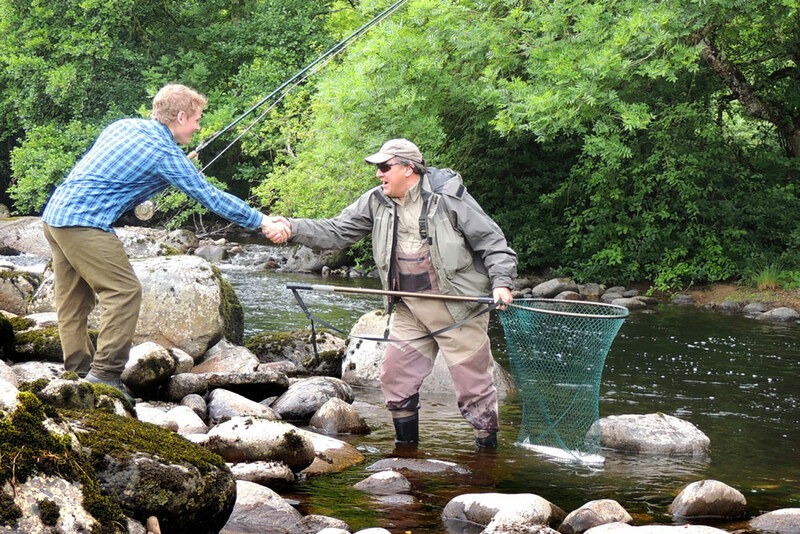 If you are staying nearby, we can collect you from your accommodation, or we can meet at one of our meeting points from where we will take you out for an exciting day of guided salmon fishing. If you are visiting Invergordon as part of a cruise, we can collect you from your ship, take you salmon fishing for the day, and return you in plenty of time for your evening sailing. For most of our day excursions we will fish the private Novar beats of the River Alness, one of the most picturesque salmon rivers in the Scottish Highlands. 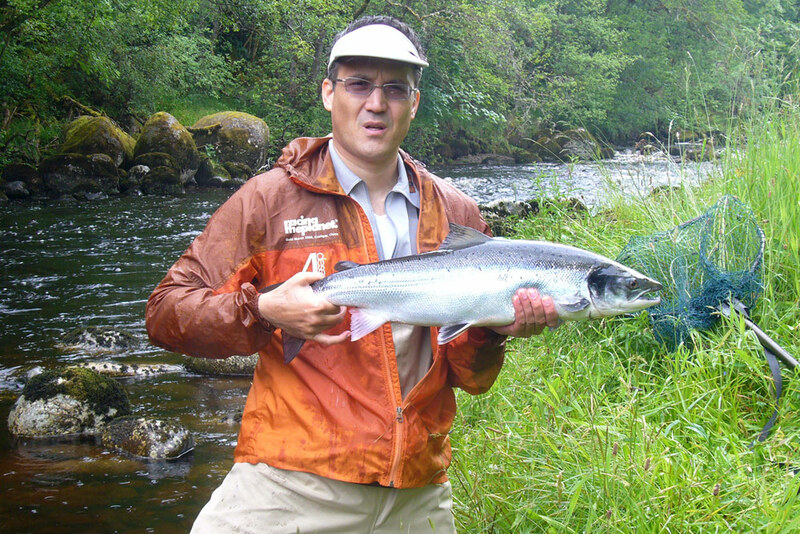 We have an intimate knowledge of all the Novar beats, and have an enviable record for helping guests catch their first salmon. 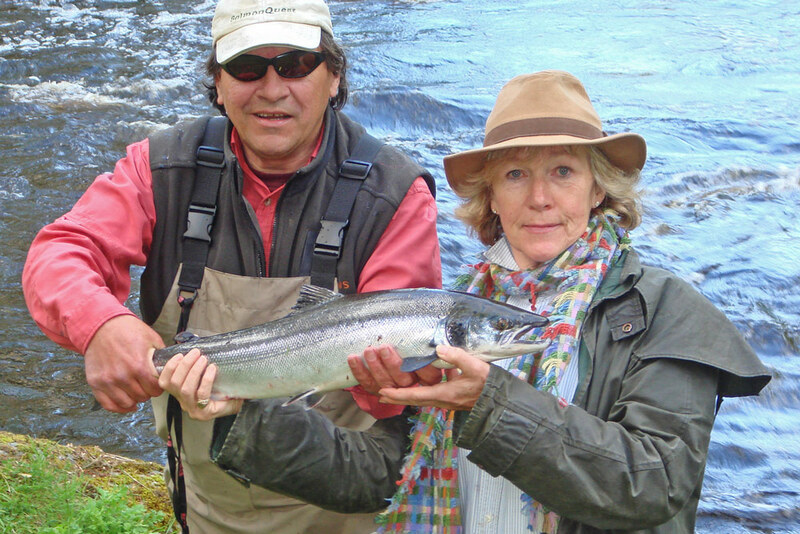 We have now helped over 100 guests to catch their 'first salmon' though our instruction or guiding services! The map below shows the locations of the nearby River Conon and other local salmon rivers. We take beats on the Conon for full weeks in spring and early summer, and can often source single days in spring and summer months on other local rivers. We have now posted a number of short videos on YouTube that include footage captured during some of our guided salmon fishing days. All of these videos are on our SalmonQuestTV channel. They are best viewed in a large window at 1080p resolution, so make sure you update the YouTube settings before viewing.